Borobudur is not a stranger to the world traveling scene, being a unique Buddhist temple of Asia, it is also the largest Buddhist structure on earth. 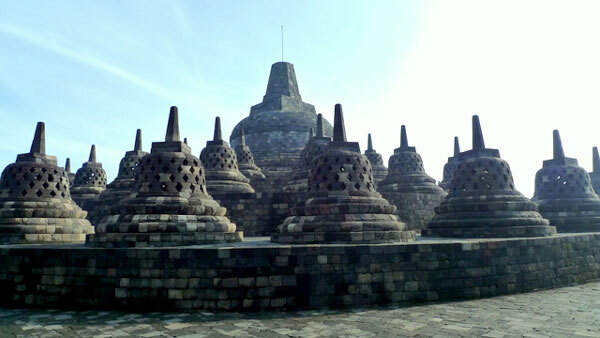 This 8th century stupa and temple complex in Central Java, Indonesia is a UNESCO World Heritage site. Many travelers came here to experience the wonders of this structure and note its unique differences with the other Buddhist temples in terms of architecture and also down to the details of its construction and also the grandness of it. 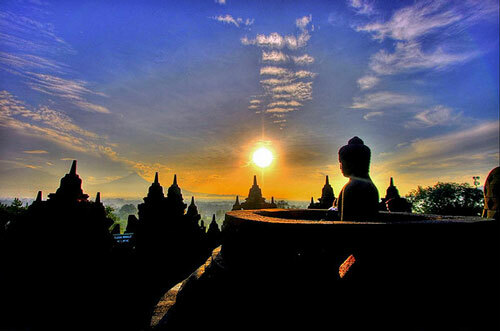 Borobudur is also set against a backdrop of volcanoes enhancing the drama of the place. There is no exact detail written record on Borobudur in terms of who built it and why is it created. 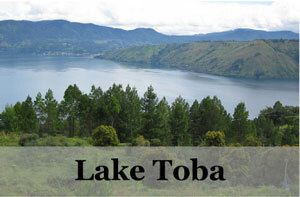 It is theorized to be made as a religious site in 8th century during the Sailendra dynasty of central Java. For some centuries, Borobudur had been lost to Indonesia until following an Anglo-Dutch Java War, the British governor at that time, Thomas Stamford Raffles took an interest in the history and mystics of Java and therefore investigated and aid in unearthing this amazing monument once again. Raffles are also responsible for the re-discovery of Prambanan, another major religious structure, this one Hindu not far from Borobudur. Borobudur was given UNESCO World Heritage Site status at 1991 after it had been fully restored. It had become a major international tourist attraction with its 2,672 relief panels and 504 Buddha statues and also detailed wall carvings. Borobudur consists of six square platforms and the highest point is 35 m from the ground. Borobudur consists of six square platforms topped by three circular platforms and is decorated with no less than 2,672 relief panels and 504 Buddha statues of various types. The main dome, located at the centre of the top platform, is surrounded by 72 Buddha statues seated inside perforated stupas. The square base is 118 m (387 ft) long on each side and the highest point 35 m (114 ft) above ground level. The distinctive shape and structure of Borobudur is the dome and its three circular symmetrical terraces. There are also six different postures of Buddha as you ascend the platforms. The wall reliefs are recounting the life stories of Buddha, from the law of Karma to birth of Buddha and his journey towards searching for the ultimate truth. 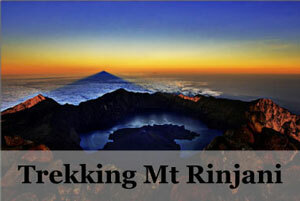 It is located in Magelang district of Central Java, about an hour drive from Yogyakarta. Borobudur is the largest Buddhist structure in the world and it is entirely unique and different from the rest of the Buddhist temples around Asia. If you want to experience Waisak in Borobudur, you should go around May, check for the exact dates of celebration for the year. Else most times is good for visiting Borobudur, whether it is the dry season (April – October) or wet season (November – March) of the two seasoned Indonesia. Dry season will have a peak of tourists and also can be really hot while the wet season will see rain later in the day so go early for your visit. 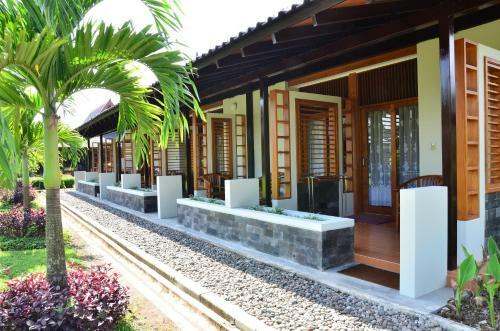 The most recommended place to stay at Borobudur temple is the Manohara Resort *. Here you can catch the temple at the dawn of light (when you pay for the sunrise tour) or at least be the first to go in when it opens at 8 am. This is the best way to enjoy the temple, when it is at its most quiet, with just a trickle of travelers like you who appreciate the silence and marvels at the beauty with respect. The entry fees to Borobudur is 25 USD for non-Indonesian Adult and 15 USD for children under 6 (as of 2017). 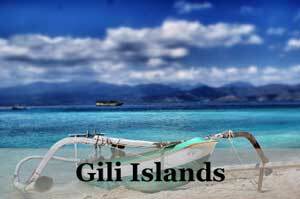 It is 40,000 Rp for Indonesians or foreign holders of work permit. Borobudur Sunrise tour with the Manohara Hotel * is 450,000 Rp for foreigners, 325,000 Rp for domestic tourists and 275,000 Rp for hotel guest (as of 2017). This will get you in early to catch the sunrise and explore for an hour before the rest of the tourists flock the place. To hire a guide to explain reliefs will cost about 95,000 – 120,000 Rp per hour. Agree on the price with your guide before starting and it is best to tour in the morning when it is not too busy. Open to public from 6am to 5pm but only those with sunrise tours can get in before 8am. For walk ins you can get in at 8am. From Yogyakarta to Borobudur, you can take the public bus or hire a car to get there. From Wonosobo to Borobudur – catch a public bus heading towards Yogyakarta and drop off at Borobudur. 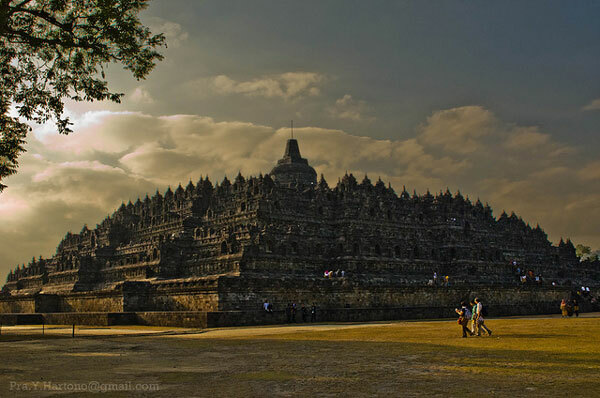 From Jakarta to Borobudur – take a train to Purwokerto and then connect with a bus to Wonosobo and onwards to Borobudur. 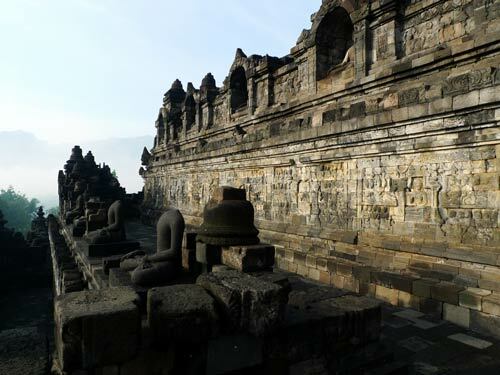 From Surabaya to Borobudur – hire a car to get there or take a bus/train to Yogyakarta before connecting to Borobudur. Prambanan – well known ancient Hindu temple built in the 9th century for Trimurti as an expression that God is the Creator (Brahma), Preserver (Vishnu) and also the Destroyer (Shiva). The temple compound lies just 18km east of Yogyakarta and would take 102 hours of car to get there. 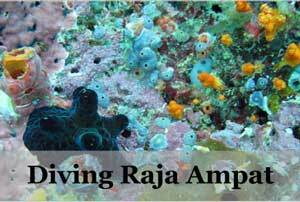 Yogyakarta – head back or onwards to Yogyakarta as there are lots of things to do in Yogyakarta. 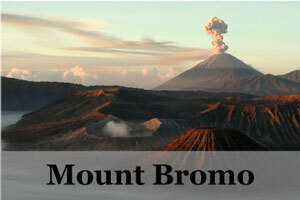 Mount Bromo – a volcano in East Java that is popular for the sunrise view of the crater. Many travelers attest to this one, don’t miss out! Try to go in at the earliest hours that it is opened to public to truly enjoy this massive and unique Buddhist temple. You will appreciate the serenity and peace and fully immerse in its significance without the hordes of tourists spoiling it. If you do not want to pay for the sunrise tour then get in at 8 am once it is open for walk in, the effort is well worth it. If you’re planning to travel around Southeast Asia and a trip to Indonesia is on the cards, we recommend that you visit in early spring to witness how Buddhists from all across the country meet up to observe the holy Waisak Day festival. It’s a day that promises vibrant colours, plenty of celebrations and many spectacular sights. 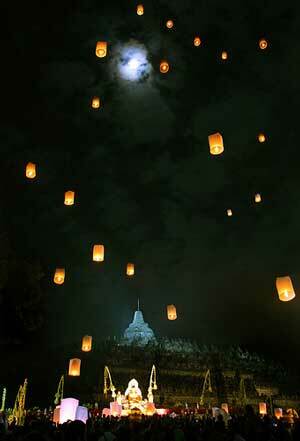 Even if you are not a Buddhist, this day offers plenty of varied traditions that are marvelous to witness. This article will explain the significance of the festival and explain how the day is celebrated in Indonesia, namely at the Borobudur temple – the largest Buddhist structure in the world. Waisak Day is a major event in the religious calendar for most Asian Buddhists, who celebrate the birth, enlightenment and death of Buddha on this day. Those who observe the religion use it as an opportunity to pay homage to The Enlightened One, seizing the opportunity to reiterate their devotion to principles of Buddhism: the determination to lead a noble life, the promise to develop their minds, the practice of love and kindness and the strive for peace and harmony with humanity. This significant and traditional holy day is observed throughout Indonesia, and beyond too: other countries that celebrate this holiday include Sri Lanka, Bangladesh, Singapore, Cambodia and Thailand. As with many religious holidays or traditions observed around the world, the name of the day can vary from place to place. While known as Waisak Day in Indonesia, the holiday is more commonly known as “Vasak” Day elsewhere. In some areas, it is known as “Visakah Puja” which means “Buddha’s Day”, when translated from Sanskrit. Sometimes, the holiday is also referred to informally as “Buddha’s birthday” too. Waisak is typically celebrated on the first full moon day in May, but this can also vary from country to country due to differences in how lunar calendars are interpreted. Some cultures will stretch celebrations across several days. How the festival is celebrated can also vary depending on location as each country has its down set of traditions. Typically, devout Buddhists will meet at temples and attend a ceremony before dawn, where they will hoist the iconic Buddhist flag and sing hymns. Buddhists might bring bright floral offerings to the ceremony as flowers are a symbol of that even something so beautiful can wither and die, and a reminder that all life is subject to decay. Some Buddhists might choose to eat only vegetarian food during this holy day too. Many Buddhists will release hundreds of small animals into the wild, such as birds or insects in an act of “liberation”; this is a symbolic act designed to wish freedom upon those who are in captivity, imprisoned or tortured against their will. Devout Buddhists might choose to make charitable donations to the less fortunate and will seek to bring happiness to those who need it most on this day, such as the elderly, the handicapped and the ill of health. Borobudur is a Buddhist stupa and temple complex, located in Central Java, Indonesia. 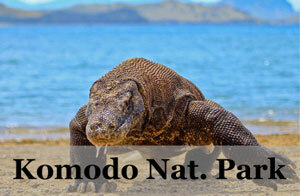 It dates back to the 8th Century and has been awarded UNESCO world heritage site status. It’s a large, ancient monument and the largest Buddhist structure on earth. The temple is set against a magnificent backdrop of active volcanoes and stunning scenery, making it an unmissable destination for those traveling around Indonesia. Borobudur is a central meeting point for thousands of Indonesian Buddhists who will flock here to celebrate the holy day. It’s not unknown for Buddhists from abroad to fly over especially too. 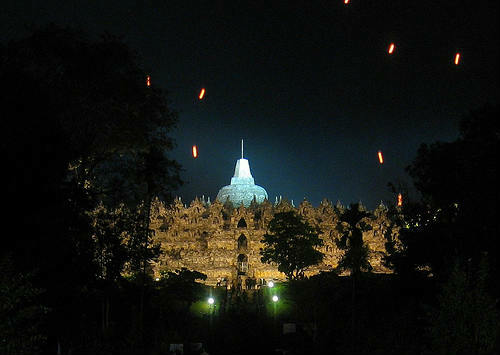 Waisak Day at Borobudur will be celebrated on Saturday, May 25th in 2013 and the day will be a public holiday in Indonesia. At Borobudur, thousands of Buddhist monks will join together to repeat mantras and meditate as they circuit the temple in a ritual called “Pradaksina”. This is a form of tribute to the temple. 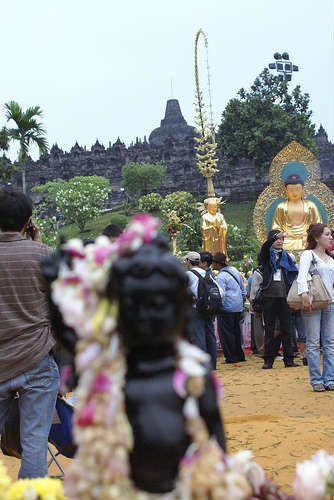 Rituals feature heavily the Borobudur celebrations, especially those that are symbolic. 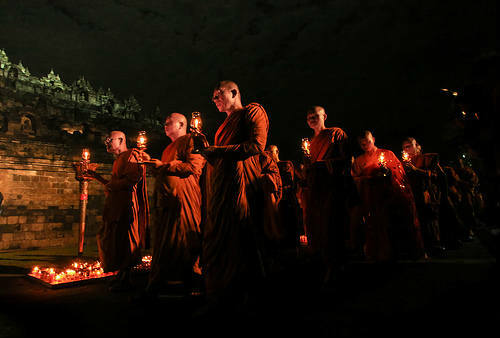 In 2012, monks celebrated the special day by bottling holy water (which symbolises humility) and transporting flames (which signifies light and enlightenment) from location to location. The monks also took park in the “Pindapata” ritual, where they received charity from the people of Indonesia. Each year, one of the many Indonesian Buddhist organisations will take the lead in the festivities and organise the famous 15,000-strong procession that marks the special day and concludes the celebrations. Last year, the festival ended with a spectacular candle-lit walk from Candi Mendut to Borobudur where one thousand lanterns were set free in the night sky. As you can imagine, this created an impressive and magical display. Last year, people were invited to visit Borobudur to enjoy the procession and celebrate the day on the grounds in front of the temple, but understandably, guests were unable to climb the temple during proceedings. 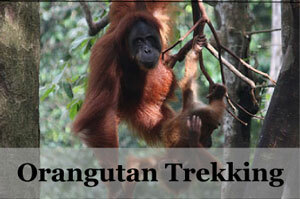 Milda is a guest contributor at Indonesia Travel Guide. She is the Community Manager @ AsiaRooms. Born in Lithuania (love it! ), studied in the UK, travelled around Asia and USA, taught in Africa and now residing in Singapore where, equipped with a strong cup of coffee and surrounded by an amazing team I’m blogging about travels, cultures, events and hotels in Asia.